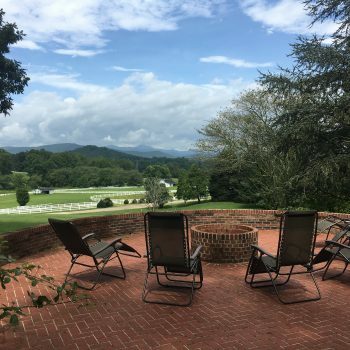 The Horse Shoe Farm, a beautiful estate renowned for its picturesque scenery and luxury accommodations, is just thirty miles away from the Tryon Equestrian Center. For thirteen days in September, the Tryon Equestrian Center will host the FEI World Equestrian Games. The Fédération Equestre Internationale is the worldwide governing body of equestrian sport. During the games, athletes will compete in show jumping, dressage, para-equestrian dressage, eventing, driving, endurance, vaulting and reining. The World Equestrian Games are held once every four years, halfway between the Summer Olympics cycle. On average, 500,000 people will attend the games this year, with a daily attendance of around 50,000. The Tryon Equestrian Center is building hotels to accommodate thousands of tourists that will flock to Tryon for the event. New construction, fully-booked hotels and traffic jams will make for a hectic few weeks. However, you can attend the games without the headaches of staying in Tryon by booking your stay at the nearby Horse Shoe Farm. 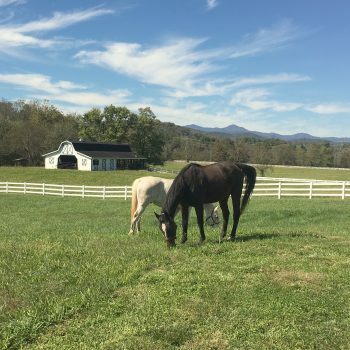 Situated on 85 acres of rolling pasture, The Horse Shoe Farm is an ideal equestrian retreat. In addition to fifty acres of fenced-in pasture, horses can exercise in our outdoor riding ring or field run-ins. During down time, board your horses in one of our spacious 12′ x 12′ stalls, eight of which are heated. We also offer a wash stall, tack room and feed room to cater to all your horses’ needs. But we don’t just accommodate equestrian owners and teams. Book one of our charming guest homes for a relaxing retreat just a few minutes away from all the action. One of our largest rentals is The Magnolia Manor, which is situated on one of the highest points of our property. After an exciting day at the Tryon Equestrian Center, come home to a quiet retreat and soak in the sights from your private brick patio. Make plans to attend one of the largest sporting events in the equestrian world at the Tryon Equestrian Center. But book your stay at the nearby Horse Shoe Farm to avoid the hustle and bustle in downtown Tryon. Contact us today to book your stay.